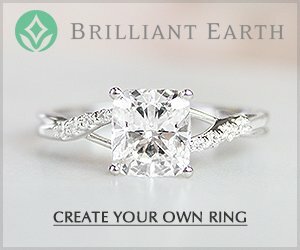 How Does Moissanite Compare to Diamond? 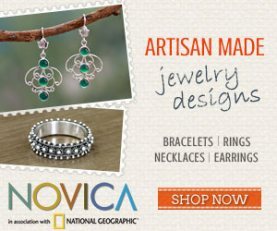 What is moissanite? Moissanite is a crystalline form of silicon carbide! While real moissanite is extremely rare, today synthetic moissanite, which has the exact same properties of natural moissanite, is a diamond simulant that is fast becoming popular with shoppers who love plenty of dazzling bling. 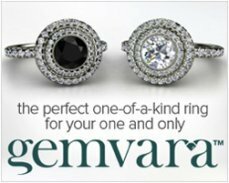 To find out more about this amazing gemstone, including moissanite vs diamond and moissanite reviews, check-out the info below. And if you have any questions, comments, reviews, or pics of your stunning moissanite to share, send them in through the comment box at the end of the page! 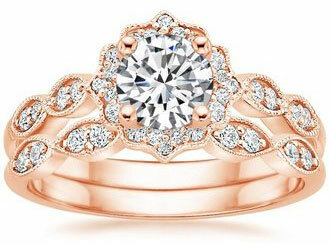 If you are searching for Moissanite Wedding Sets, take a look at this page. Henri Moissan discovered real moissanite in a meteor crater in 1893. 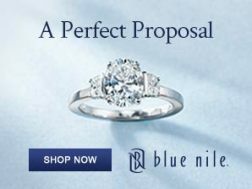 Since that time, natural moissanite has only been discovered and isolated on a very few occasions. It is an extremely rare mineral, whose presence has been identified in microscopic amounts in the remnants of meteorites and as tiny inclusions in volcanic rocks and diamonds. When scientists discovered that the rare moissanite crystals had a hardness rating close to diamond, the race was on to create synthetic moissanite - a form of moissanite which is exactly the same as natural moissanite. In the late 1980s the synthesis of moissanite and loose moissanite stone was finally achieved, and in 1997 the manufacturer of synthetic moissanite, Charles & Colvard®, began to market created moissanite jewelry and moissanite loose stones. 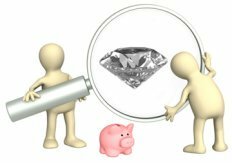 The patent that Charles & Colvard® held on synthetic moissanite expired in 2016 but this company is still a leading moissanite producer - and moisssanite is now more affordable than ever before. 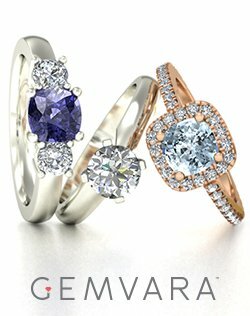 Today, although moissanite is more often known as a diamond simulant - favored in diamond simulant engagement rings and wedding bands in addition to radiant earrings and necklaces - it is being promoted as a gemstone which should be appreciated in its own right due to its brilliant flash and fire and extreme durability. 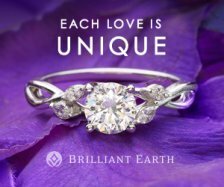 So how does moissanite compare to a diamond? Take a look at the table below or check out man-made diamonds to see how moissanite compares to other types of diamond substitutes including simulants like cubic zirconia and white sapphire. 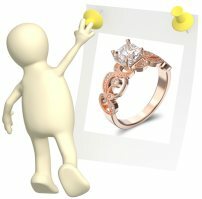 What is Moissanite Compared to a Diamond? From the table, you can see that moissanite is almost as hard as a diamond, and moissanite has a higher hardness rating than many natural durable gemstones including ruby, sapphire, topaz and emerald gemstones. 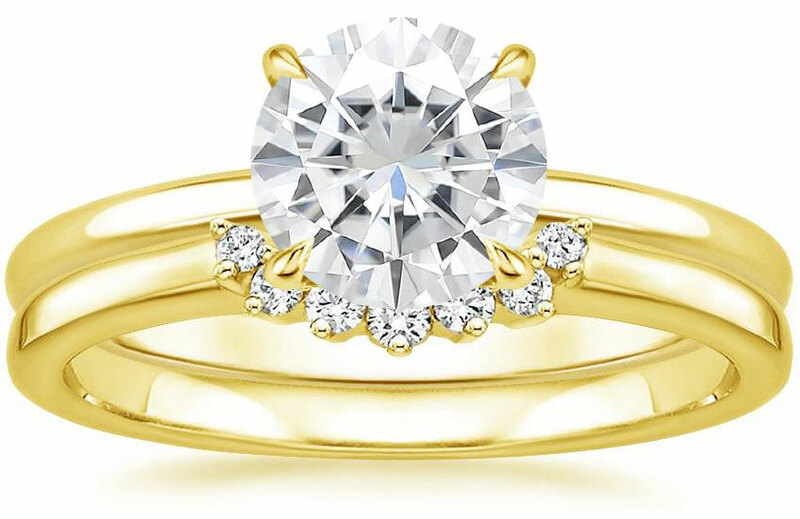 Moissanite has a weight which is quite similar to a diamond, and moissanite wedding and engagement rings will have a weight comparable to diamond wedding and engagement rings. 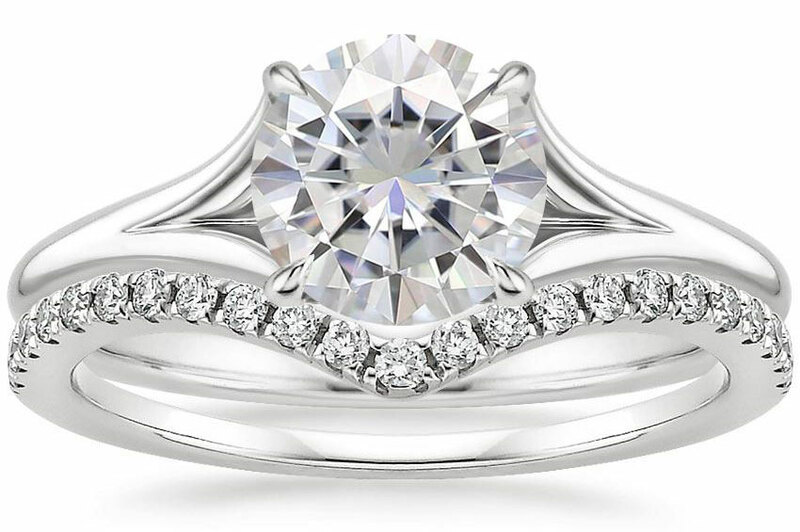 While moissanite has properties similar to a diamond, moissanite does not look exactly like a diamond. Moissanite has a higher dispersion and refractive index – and these values are responsible for the fire, flash and brilliance of a gemstone. Due to the increased dispersion and refractive index values, moissanite has a lot more shine and sparkle than the average diamond - somewhat like a mini disco ball. All synthetic moissanite stones are completely flawless, while only the rarest of diamonds are totally flawless; most diamonds contain small inclusions or blemishes. The absence of inclusions, and the measure of dispersion and refractive index, are the methods jewelers use to distinguish moissanite from real diamonds. 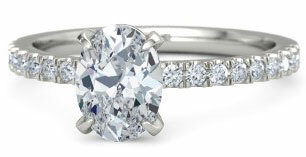 As with real diamonds, moissanite may be cut and fashioned into a number of shapes and jewelry designs. 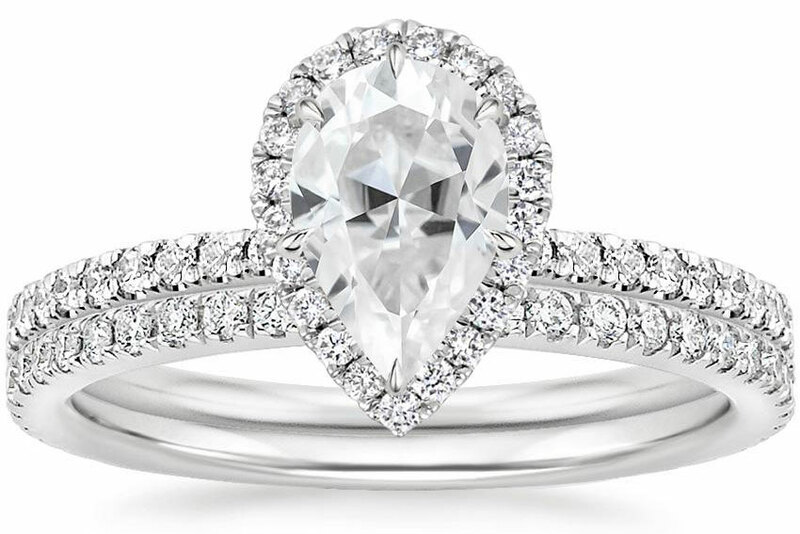 The most popular moissanite stone cuts are the round and square brilliant cuts, but heart, oval, pearl and triangle shapes are on the top of the list for moissanite engagement rings. 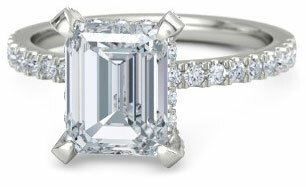 This year, emerald cut moissanite in particular is the new favorite cut. Colored fancy moissanite is now available too (although it can sometimes be a bit challenging to find in a loose moissanite stone) as an alternative to extremely expensive natural fancy color diamonds. Fancy moissanite is available in rose, pink, canary yellow, green and shades of sherry brown. 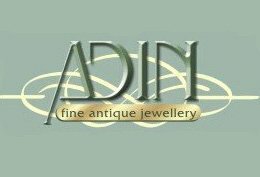 Moissanite reviews are generally positive. 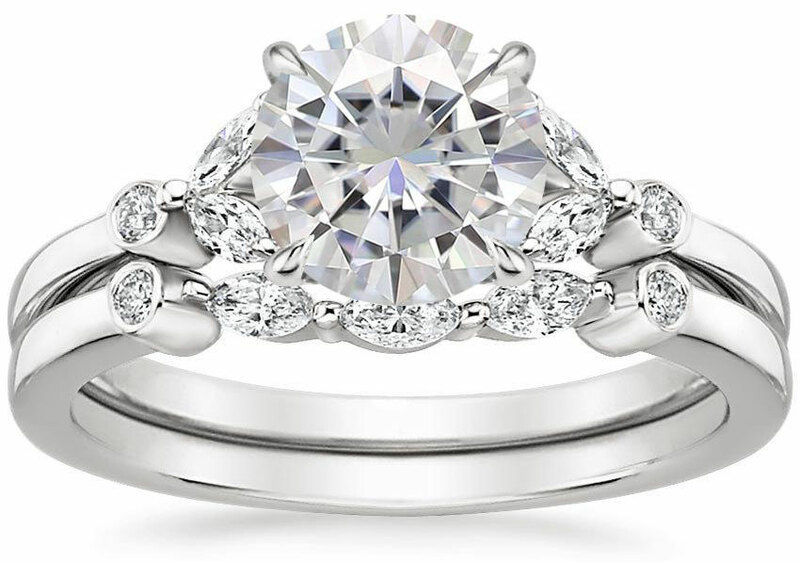 Most couples are quite happy with the purchase of a synthetic moissanite engagement ring or moissanite wedding set, and are usually very pleased with the amount of money they save with the purchase of moissanite jewelry. An average one carat diamond costs approximately $1500 dollars whereas a one carat moissanite loose stone may cost somewhere around $300 dollars and up depending on the cut. The high reviews have spread the word about moissanite, and today more and more shoppers are asking "What is Moissanite?" 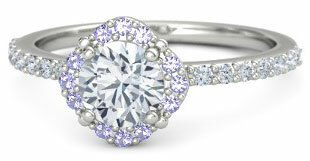 and turning to moissanite for an affordable yet beautiful diamond alternative. However, moissanite is not for everyone. 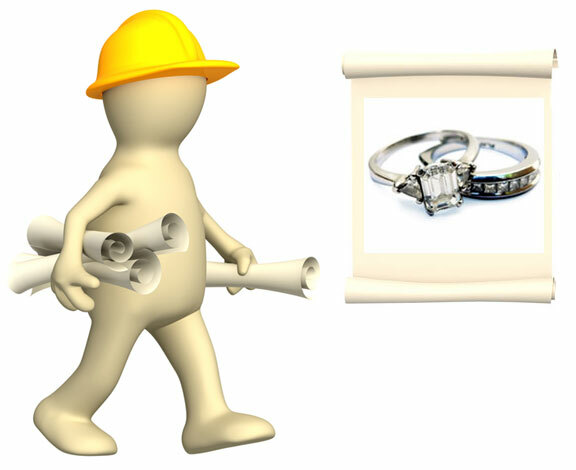 Some people do not like the extra flash and sparkle of a moissanite ring, and some consumers have complained of shoddy workmanship on their moissanite rings. 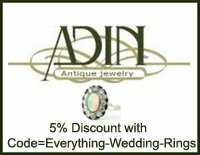 As with all other types of rings, it is important to purchase moissanite wedding sets or engagement rings from a reputable company which offers a superior product for the right price. 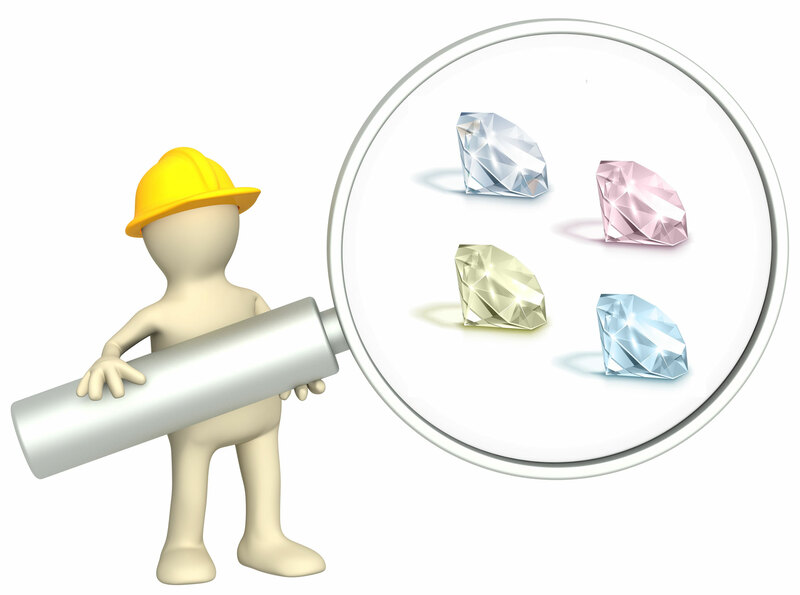 Now that you know more about what is moissanite - take a look at our page about Man Made Diamonds to see how moissanite compares to other simulants, or to find out more about synthetic diamonds! 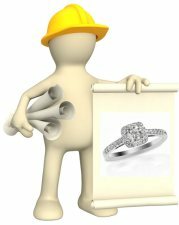 Do you have comments or questions about moissanite? Send in your moissanite questions and comments here, and I will post answers to your questions as soon as possible! 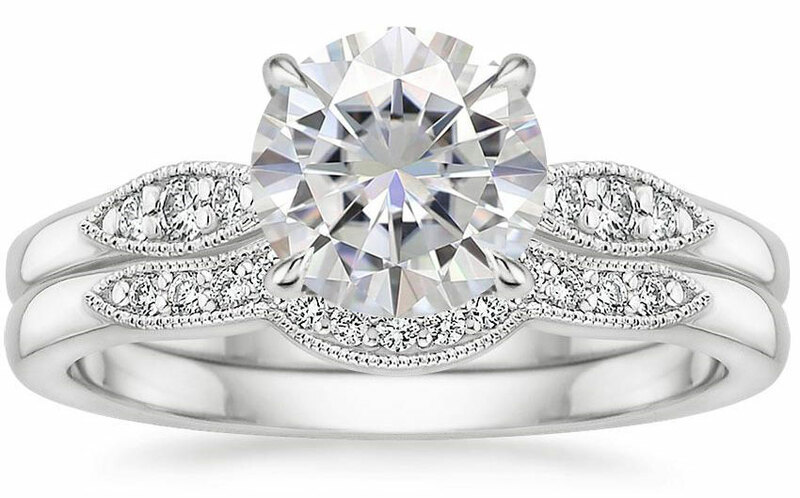 More Top Moissanite Wedding Ring Picks!